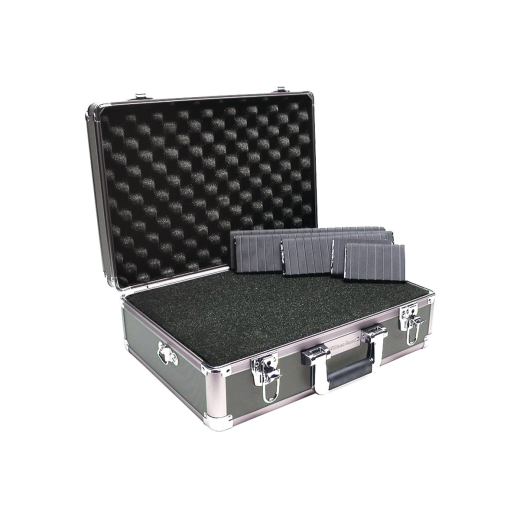 LARGE BRIEFCASE Customizable, large briefcase. Includes interchangeable pluck foam and receiver divider. Holds receivers or up to 40 headphones. Includes detatchable shoulder strap. 18-1⁄4" x 7" x 14-1⁄8". 4.38 lbs.